When people talk about Bali, the thing that must be targeted is the extraordinary beauty of nature and the sea. Most people visit Bali to enjoy the underwater beauty by diving. 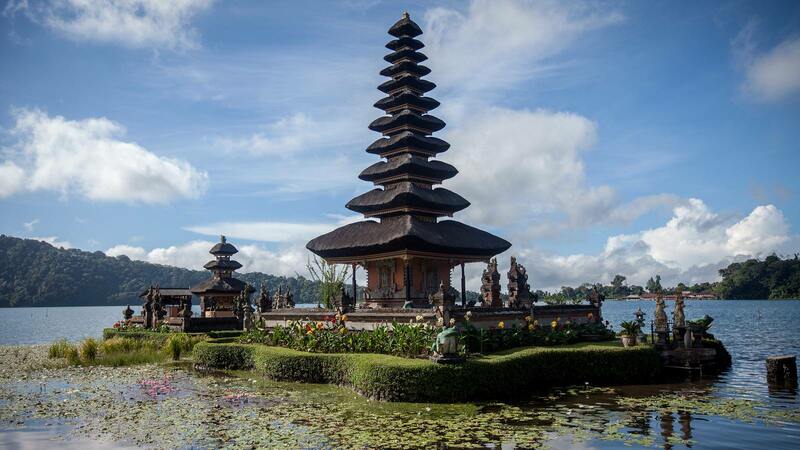 Bali is a unique and interesting island with lots of things to do. Bali is an island with the diving regions are spread out and range from the most northwestern corner to the small island off the east coast. When you are vacationing in Bali the goal to do is dive. therefore you must meet with several operators so that everything can be simple and arranged like hotel pick-ups, boats, diving gear, etc, it is a stress-free way of diving numerous spots around Bali when being able to enjoy other activities. We suggest the best time for this itinerary is from August to October, the manta rays are year round but sightings are less frequent in November. 1. Bali Scuba : Organized and professional, full range of courses from childern to professionals, daily fun diving trips. 2. Crystal Diver : Located in Sanur, aims to serve you with the experience and service of high-level customers, guaranteed to be supervised and trained by certified PADI Divemasters, PADI Instructors. 3. Blue Season Bali : Our highly trained and experienced dive team is here to ensure that you get the best diving experience in Bali, friendly and professional. Day 1 : Arrive at Ngurah Rai International Airport and transfer to Pemuteran. If you book your dive center first, they will arrange airport pickup and provide a driver. Day 2 : Two dives in the morning at Menjangan Isalnd or Secret Bay and diving in the afternoon or night diving at Pemuteran. When in Menjangan Island, the best dive site is in Cave II (Cave Point). Dive in Pemuteran You will see the Bio-Rock Project located in front of the Werner Lau dive center. Day 3 : If you want to dive in the morning at Pemuteran and then transfer to Tulamben or leave in the morning to Tulamben then dive during the afternoon. Transit from Menjangan to Tulamben takes around four hours. Tulamben has a fun and difficult to forget dive site. Day 4 : Early diving at the US Liberty wreck or you can dive at night in Liberty wreck. Night diving at the Liberty wreck gives you the opportunity to see marine life clearly, while diving at night the trick is to go slow and use a good LED torch that can show the true color of the reef. Day 5 : Diving in Padang Bai offers two main choices, staying at Padang Bai or Candidasa, diving in this area can be traveled from one of the main operators in South Bali. Operators in Sanur provide hotel pickups from the south of the island and Padang Bai by taking one hour by car. Day 6 : Blue Lagoon is a small bay to the north at the main port of Padang Bai. Night diving are also possible at the Blue Lagoon when conditions are good. This makes a very good site if you use a torchlight for Spanish dancers with white sand. Day 7 : Dive in the morning on Gili Biaha, Tepekong, or Mimpang, this dive site has an average visibility of around 15 meters, during the dry season visibility can reach 30 meters. Meanwhile, from July to October the temperature decreased by 21 deegres. Return to the South Bali area for the night before departure the next day.